Rankings published by SR Education Group. 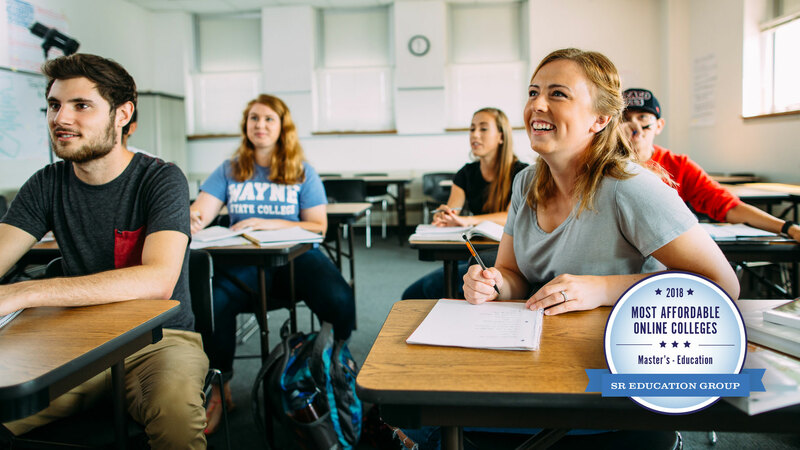 SR Education Group recently ranked Wayne State College in the 2018 Most Affordable Online Colleges for a Master's in Education. This ranking represents online schools across the nation that are making an effort to provide economical options for students. The company manually researches the tuition of every college offering fully online degrees to determine and rank the most affordable choices. Wayne State College made the ranking at 20th for Master's Degrees in Education. SR Education Group, a leading education research publisher founded in 2004, just launched a major update to GuidetoOnlineSchools.com and OnlineU.org: 132 separate ranking lists categorized by program and degree level. This marks the organization’s largest launch to date. A total of 610 unique online colleges were ranked on the 2018 Most Affordable Online Colleges and 2018 Best Online Colleges ranking reports. The methodology employed for this launch includes degree-specific tuition rates that are manually researched by SR Education Group, as well as data from the National Center for Education Statistics (NCES). This will be SR Education Group's second launch where each ranking list focuses on an individual degree level. With last year’s October launch, the organization has now published over 240 degree-level ranking reports. Of the 132 rankings there are three associate lists, 57 bachelor’s lists, 63 master’s lists, seven doctoral lists, and two certificate lists. All ranked schools are regionally accredited - the highest standard of college recognition. Credits students earn from regionally accredited institutions are more widely accepted and easily transferable between colleges. The programmatic accreditation and profit status of schools were collected from official websites of the accreditation agencies or from the NCES. All ranked schools offer fully online degrees or degrees that require in-person work for two weeks or less, allowing students to maintain careers or personal obligations. SR Education Group has been researching and publishing content about online colleges since 2004, and has been publishing online college rankings since 2009. The organization will be continuing its research of online colleges throughout this year, with a focus on online colleges that offer the best value to niche audiences. Prior niche rankings reports include best value and most affordable online colleges for women in STEM, Christian students, and students with disabilities. The upcoming rankings will maintain an emphasis on value by providing lists of schools offering online programs that are high quality, affordable, and based in value rather than prestige alone. Headquartered in Kirkland, Wash., SR Education Group was founded in 2004. The company’s mission is to create authoritative online resources for students seeking an online education program that best suits their budget and career aspirations. SR Education Group is passionate about making quality education attainable for everyone and believes that objective information about education, careers, and educational financing should be free and easily accessible. For more information, please visit www.sreducationgroup.org/.